Stunning Summits Green Mound Juniper Bonsai - 8-inches high. 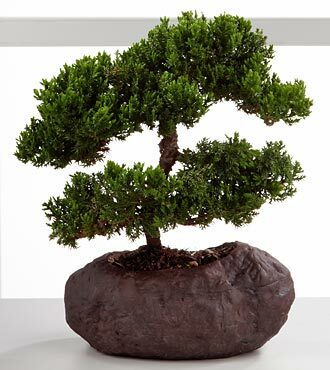 The Stunning Summits Green Mound Juniper Bonsai will take your special recipient to new heights! The natural movement of the trunk and branches of this exceptional tree capture the essence of a bonsai, making this a popular variety. Arrives in a rock pot, giving the bonsai an environmental look.